Students who receive a nutritious breakfast at school increase their math and reading scores, improve their memory and score higher on tests compared to students who skip breakfast or eat breakfast at home, sometimes hours before class and/or a test. 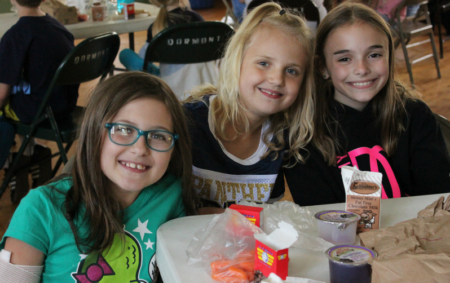 Because Pennsylvania’s need for the School Breakfast Program is so great compared to the rest of the country, we are currently working to expand our outreach by working with school districts to increase participation by implementing alternative options for participation, including Grab’n Go and Breakfast in the Classroom. Our regional coordinators also meet with schools to promote the Community Eligibility option, which enables school districts with at least 40 percent low-income students to offer meals to all students, regardless of meeting eligibility requirements.